Zona Tortona is the must-see Milan Design Week destination for those looking for great mix of work coming from designers from across the globe. 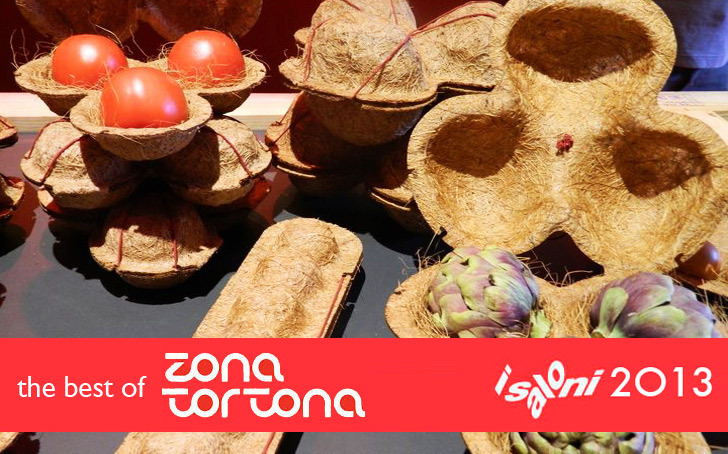 This year, Zona Tortona's multi-cultural and multi-colored events entertained us with the ultimate itinerary comprising industrial and artisan businesses, and small and big brands. 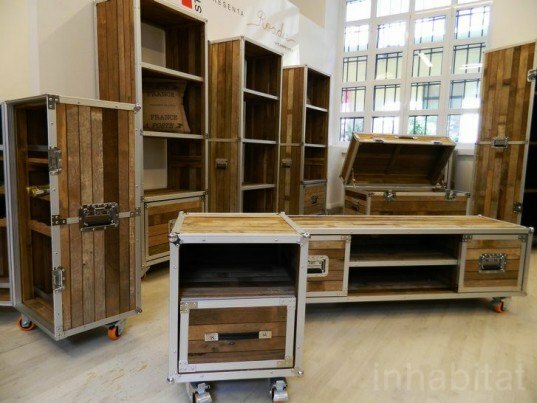 But what really caught our eye were the designers who experimented with natural and innovative green materials to create stunning design pieces. See some of our favorites from this year's show in our gallery. 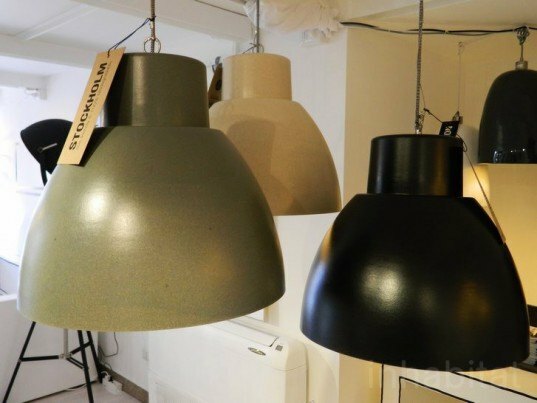 Dutch lighting studio ROMI launched an innovative eco-pendant called ‘Stockholm’. Designer Michiel van Mierlo created the modern shade from an innovative, 100% biodegradable mixture of natural materials which includes peanut shells, bamboo powder and rice hulls. The result is a modern, smooth shade offering warm light. 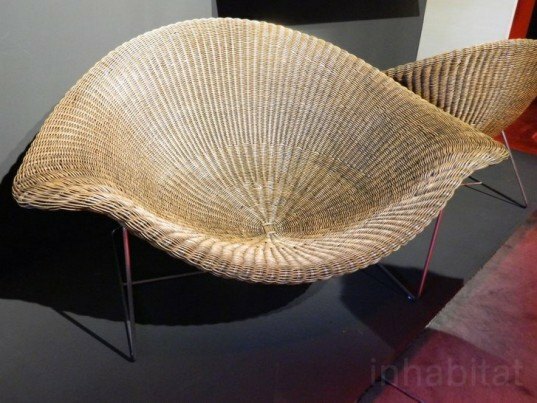 Experimenting with natural materials and applying ancient Chinese techniques, studio Pinwu presented debuted a stunning lounge chair made from Palm thread. Taking advantage of its tough, anti-friction and air permeability, the Palm thread, used in the past for mattresses and raincoats, is mixed with soft caddice to create a modern chair and stool set suitable for outdoor use. Pinwu returns to Milan Design Week with a new version of the Gu Paper chair. Exploring the natural material and employing ancient techniques from the Chinese province of Yuhang, the design studio has molded Gu2 from bamboo paper pulp and enriches is with a birch seat. Gu Paper and Gu2 caught our eyes for their light and elegant design. Young and talented Brazilian Manuela Yamada surprised us with her remarkable research and product development. Nearly 10% of Rio de Janeiro’s waste is represented by coconut shells, which lay rotten in the streets attracting insects. Yamada developed an extraordinary new way to get rid of this waste with the creation of a new material. Made from coconut fiber and local manioc flour, Botiá is an inexpensive, easy to mold, light, firm and hydrosoluble composite that can be used for several purposes — in particular food packaging. 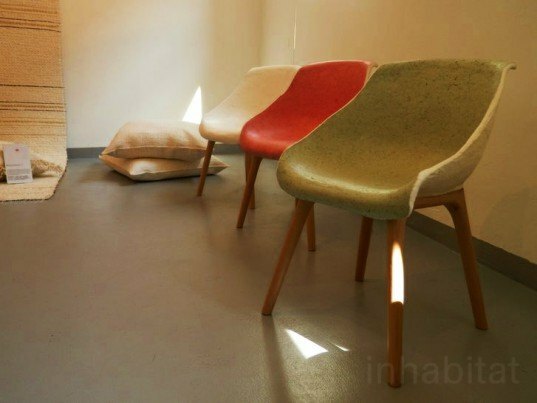 Poltrona Arraia of Architect studio Indiodacosta takes inspiration from the Ray fish to create an irresistible lounge chair naturally covered with malacca fibre. 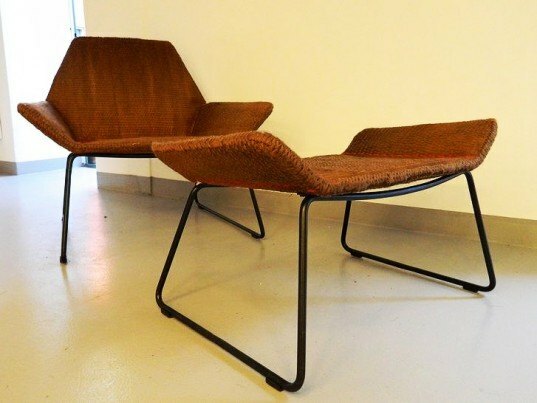 The steel structure is weaved with the rattan stems into a fluid, smooth and sophisticated shape for extra comfort. éLunaPiena is the new venture of three young Italian artisans who are giving a new life to huge oak barrels recovered from Slavonia. 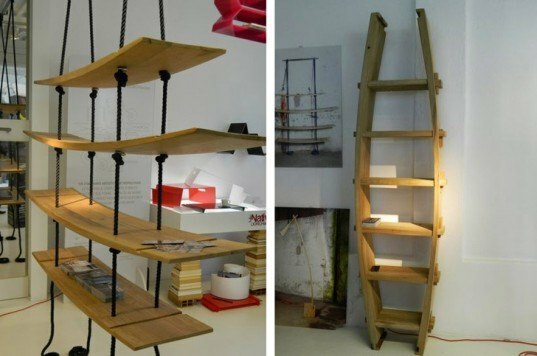 The original use of the barrel staves is exploited to create the full length Maori bookshelf and the hanging bookshelf Vela. Moving away from our throw-away culture, three Italian young designers created Progetto Pronto Intervento. 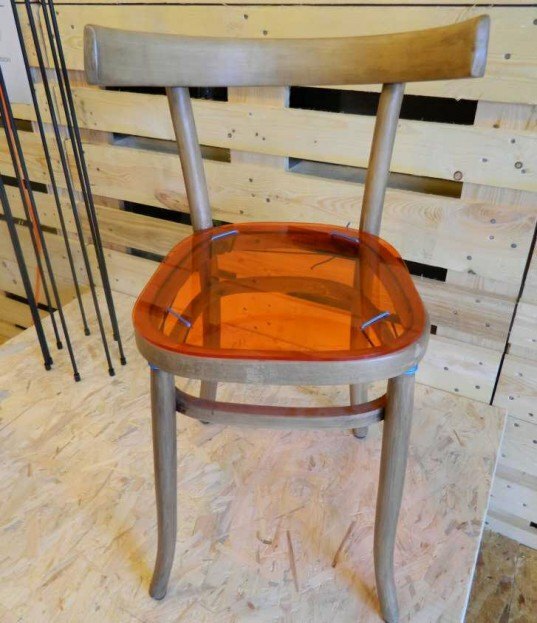 With the intention of re-establishing the culture of repairing, an old wooden chair is given new life with the addition of a modern acrylic glass seat that has been laser cut and colorfully stitched and mended to the old frame with a cotton string. Inspired by the sturdy containers used by rock and roll bands to transport equipment, Roadies by Italian IDI Studio is a contemporary collection which includes desks, wardrobes and wine racks, all handmade from recycled 100% FSC Teak wood and aluminium. 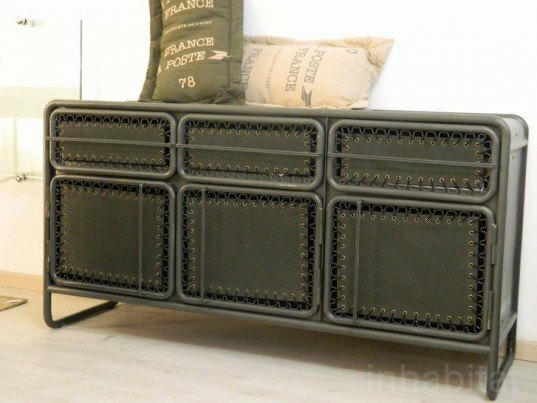 Recycled metal and canvas from military tents are combined in Deserter to create an army-inspired collection of beds and sideboards by Italian IDI Studio. The collection may appeal teenagers and adult alike. The Rope Me collection by IDI Studio is inspired by the sea and made of 100% recycled wood and original marine rope. 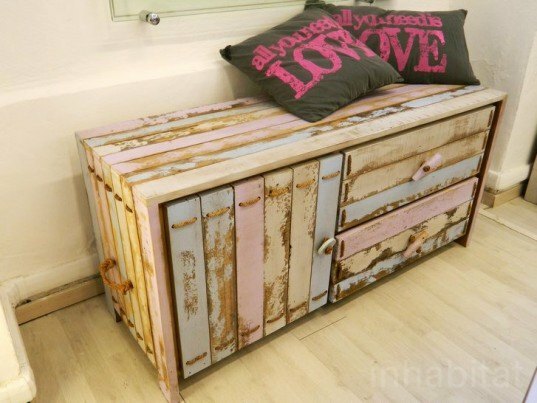 The soft and light pastels color of the wood interwoven with the rough rope give this sideboard a hippy-chic look. Young and talented Brazilian Manuela Yamada surprised us with her remarkable research and product development. Nearly 10% of Rio de Janeiro’s waste is represented by coconut shells, which lay rotten in the streets attracting insects. Yamada developed an extraordinary new way to get rid of this waste with the creation of a new material. Made from coconut fiber and local manioc flour, Botiá is an inexpensive, easy to mold, light, firm and hydrosoluble composite that can be used for several purposes -- in particular food packaging. Dutch lighting studio ROMI launched an innovative eco-pendant called 'Stockholm'. 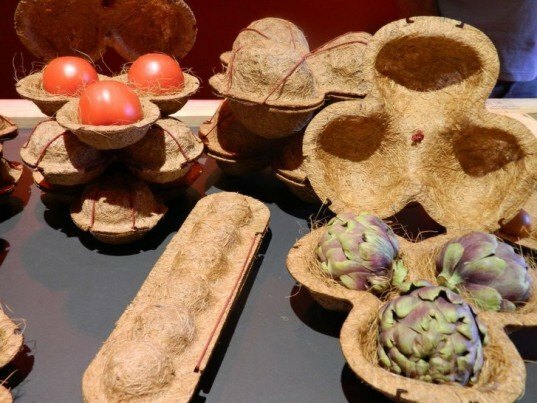 Designer Michiel van Mierlo created the modern shade from an innovative, 100% biodegradable mixture of natural materials which includes peanut shells, bamboo powder and rice hulls. The result is a modern, smooth shade offering warm light.